Live At The Beat Scene Club E.P. 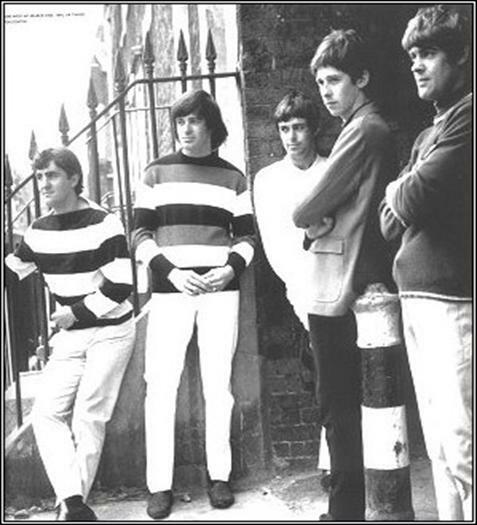 The Mark Four were one of the top local bands around north London and Hertfordshire in the early 60's. 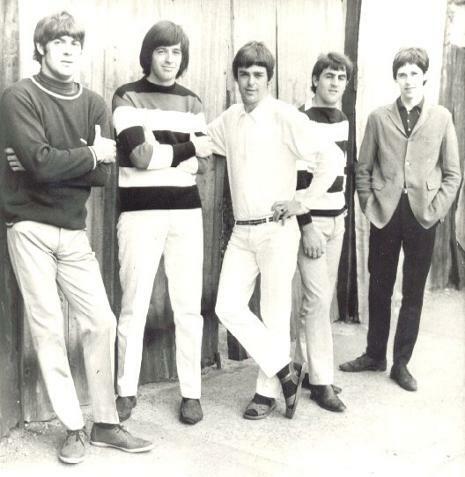 The band was formed from Jimmy Virgo and The Bluejacks around late 1963. 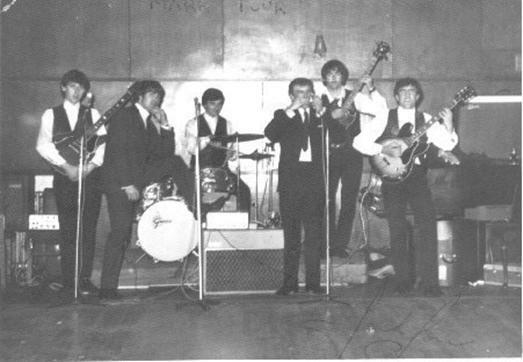 During the year of 1962, The Bluejacks went through a number of personnel changes:- Jack Jones took over from Pete Wilson on drums, Michael (spud) Thompson for Fred Wilkinson on rhythm guitar and then Jimmy Virgo decided to leave the band mid 1962. We used a singer from Welwyn Garden City for a few gigs, before auditioning Kenny Picket late 1962. It was at this time we decided to change our name to Kenny Lee & The Mark Four. It was January 1963 we auditioned Eddie Philips at the Salisbury Arms Hoddesdon, to take over from Norman Mitham on lead guitar and the line up was complete. 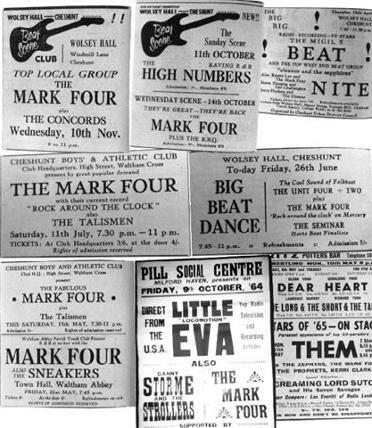 The Mark Four became a very hard working band, playing five or six nights every week (see list below). It was March 1964 we did our first tour of Germany opening a brand new night club called The Big Ben Club in Wilhelmshaven north Germany. This proved to be invaluable experience, playing eight, thirty minute sets, seven days a week. We recorded our first record (Rock Around The Clock) in March 64 and released it in may. The follow up record was another cover called Try It Baby in August 1964, and it wasn't until August 1965 we got the first Picket-Philips song Hurt Me If You Will. Spud and I decided to leave the band, with our last gig at The Witchdoctor Club, Hastings on 31 October 1965. Shortly after that the band changed their name to THE CREATION.